PC chassis, cooling and power specialist Silverstone has finally launched a fan-less small form factor power-supply it had on show at Computex 2017, almost a year ago. Part of its NightJar Series, the new Silverstone Nightjar NJ450-SXL is claimed to be "the first ever fanless SFX-L design". 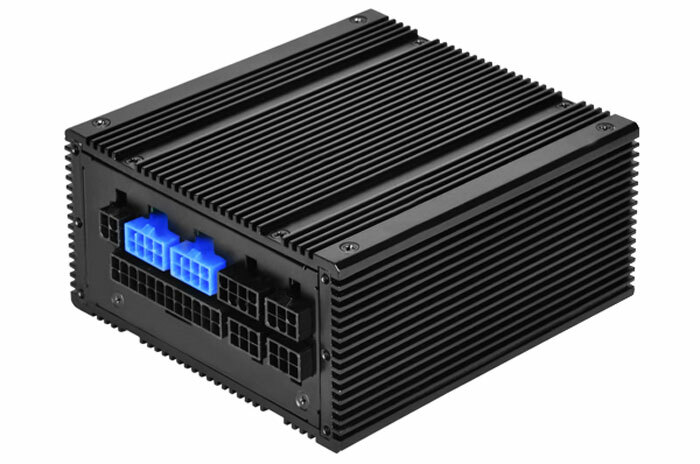 As you might guess from the name, this is a 450W PSU, and it relies upon finned aluminium construction to cool its components. Measures 130 mm (W) x 63.5 mm (H) x 125 mm (D) and weighs 1.52kg. 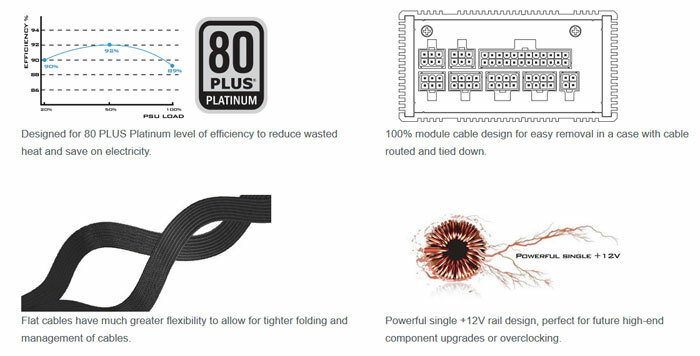 In its promotional blurb Silverstone emphasises that the Nightjar NJ450-SXL can run 24/7 at in a 40°C operating environment while delivering powerful single rail +12V output of 37.5A for high-end system usage. Silverstone has published a GPU support list (PDF) which says that users should have no problem with powering a PC system with a single Nvidia GTX 1080 (Ti) or AMD Vega 64, or even a pair of RX 570 cards. Premium components are claimed to be inside this PSU, helping it run reliably and it is claimed to have a MTBF of 100,000 hours. Protections are present for over current, over power, over voltage and short circuit. There isn't much to say about the 'thermal solution' - you can see it in the pictures - a set of finned aluminium construction panels are present, top sides, and bottom, without vents. 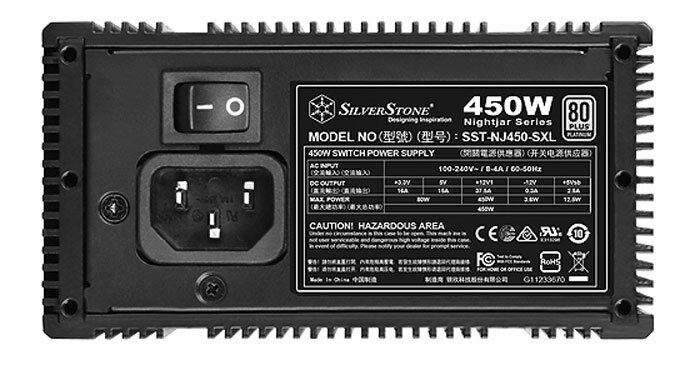 The SFF Network and TechPowerUp both reported on the launch of the Silverstone Nightjar NJ450-SXL launch today - but neither these sites nor the official product page provide availability or pricing data. I'm not sure about that one, the way it has no ventilation means it's relying on external air flow to cool, but SFX tend to go into small cases which often don't have great air flow. 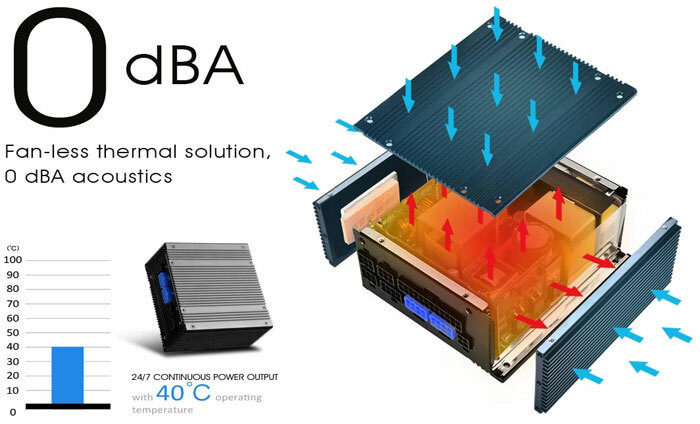 Agreed, I would be interested in seeing this put into a Mini-ITX NAS build within a small hot swap caddy chassis. Because the fact it's fanless and has a high efficiency is really interesting me. I don't have any firsthand experience with SFX but if they rate it for 40°C wouldn't that sort of constant temperature inside a case be of a concern for other components also, in other words wouldn't you be try to avoid such a high temperature? Most computer component tolerances allow and account for up 65 degrees persistent temp for long periods and server hardware is generally designed to run hotter for longer. Still, if the PSU itself is working at 40C internally, then is it expelling air warmer than that? And wouldn't it be expelling it into the case and across the other components instead of out of the back? Meaning far less efficiency overall for the rest of the cooling? It all seems a bit dangerous to me having a passively cooled PSU.